Each year September is recognized nationwide as Suicide Prevention Awareness Month in an effort to make the general public more knowledgeable about issues concerning suicide from knowing the warning signs to being able to provide help to a friend or family member in need. 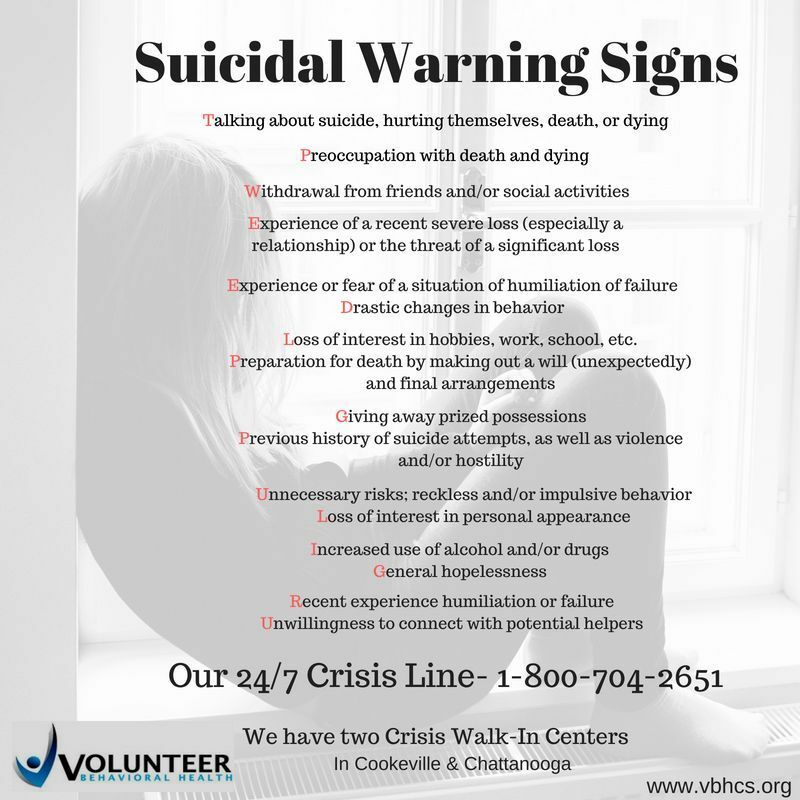 In Tennessee suicide routinely claims more than 1,000 lives annually, while nationally more than 41,000 die by suicide each year. Suicide is the tenth-leading cause of death in Tennessee based on 2016 data, and is the second-leading cause of death for an age group spanning 10 to 24. Nationally, suicide rates among youth (ages 15-24) have increased more than 200% in the last fifty years. You should urge anyone exhibiting warning signs to seek professional help or seek professional help for them. You may call the Volunteer Behavioral Health 24-Hour Crisis Call Line 1-800-704-2651.